We are involved in offering the Camphor Powder (Indian/Imported) that are used in medicines and in various Hindu religious ceremonies. It is a white transparent solid with strong aromatic odor. Camphor is readily absorbed through the skin and produces a feeling of cooling similar to that of menthol and acts as a slight local anesthetic and antimicrobial substance. Camphor is available as a decongestant and as an essential oil for aromatherapy or topical application. Sodium nitrate is the chemical compound with the formula NaNO3. This salt is also known as Chile saltpeter or Peru saltpeter (due to the large deposits found in each country) to distinguish it from ordinary saltpeter, potassium nitrate. The mineral form is also known as nitratine, nitratite or soda niter.Sodium nitrate was used extensively as a fertilizer and a raw material for the manufacture of gunpowder in the late 19th century. It can be combined with iron hydroxide to make a synthetic resin. 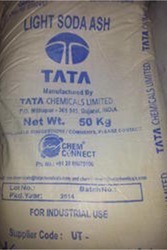 Sodium nitrate can be used in the production of nitric acid by combining it with sulfuric acid over heat or an extended period of time due to sulfuric acid's highly exothermic reaction with water, as the sodium nitrate must first be converted via thermal decomposition tosodium nitrite. 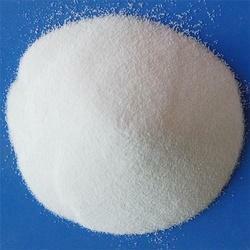 Soduim Acetate is also called as Sodium Ethanoate which is a sodium salt of Acetic Acid. 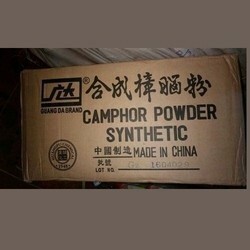 It is also obtained as a by-product during the manufacturing of Camphor. The colorless salt has a wide range of applications. We provide Formic Acid 85 percent that acts as a preservative and antibacterial agent for the livestock feed. It occurs naturally and serves as important intermediate in chemical synthesis. When sprayed on fresh hay or other silage, it arrests certain decay processes and causes the feed to retain its nutritive value longer and thus, the feed is preserve through winter for cattle. 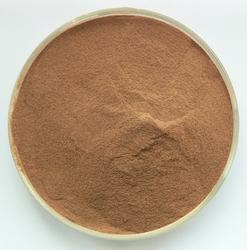 It is also use in leather tanning industries. 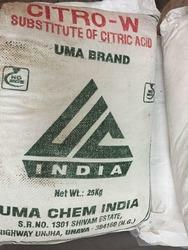 Hydrated Lime is a colorless crystal or white powder and is obtained when calcium oxide (called lime or quicklime) is mixed, or "slaked" with water. It has many names including Calcium Hydroxide, builders' lime, slack lime, cal, or pickling lime. Calcium hydroxide is used in many applications, including food preparation. Lime water is the common name for a saturated solution of calcium hydroxide. 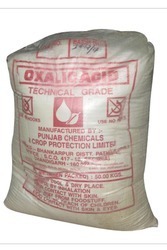 We are involved in offering the Oxalic Acid which is a chemical compound. It is a strong organic acid, which is used as cleaning and bleaching agent. A host of household chemical products contains oxalic acid that helps in the removal of rust from iron and it also finds usage in leather industry. · Used in Cleaning/Surface Industry to remove rust, corrosion, etc. · Used to clean iron and manganese deposits from quartz crystals. 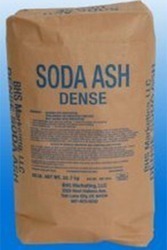 We offer Soda Ash that is a white and odorless product, which is free from dirt and impurities. Due to its excellent weathering properties, it absorbs moisture from the atmosphere. 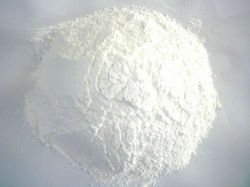 The soda ash is insoluble in water and has a tendency to cake and become lumpy when it comes in contact with moisture. 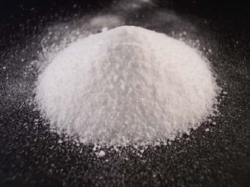 Soda ash commonly called as Sodium Carbonate is a white, crystalline compound soluble in water (absorbing moisture from the air) but insoluble in alcohol. It is commercially called sal soda or washing soda. Soda Ash is produced synthetically using the Ammonia Soda process (Solvay process) treating sodium chloride with ammonia and carbon dioxide. 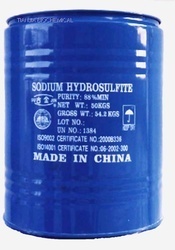 Sodium bisulphite is also known as sodium hydrogen sulphite which is a chemical compound with the chemical formula NaHSO3. Sodium bisulphite is a food additive with E number E222. This salt of bisulphite can be prepared by bubbling sulfur dioxide in a solution of sodium carbonate in water. 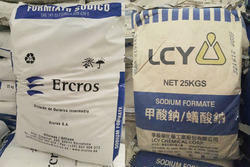 Sodium formate is a sodium salt of Formic Acid. 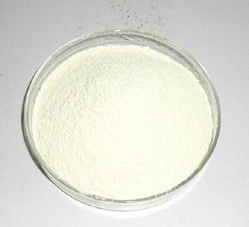 It is white deliquescent powderwhich is used in the production of Formic Acid. It serves as the raw material for various Industries. 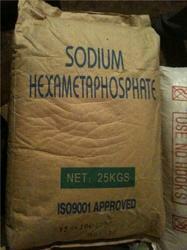 Sodium Hexametaphosphate (SHMP) is a hexamer of composition (NaPO3)6.It is prepared by melting monosodium orthophosphate, followed by rapid cooling.SHMP is used as a sequestrant and has applications with in a wide variety of industries, including as a food additive in which it is used under the E number E452i. Sodium carbonate is sometimes added to SHMP to raise the pH to 8.0-8.6, which produces a number of SHMP products used for water softening and detergents. 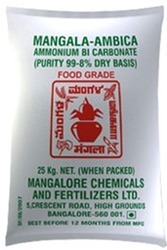 Also used as a dispersing agent to break down clay and other soil types. Sodium Sulfite is a White crystalline or powder which is readily soluble in water, decomposes on heating. It is a strong reducing agent and reacts with oxidants. 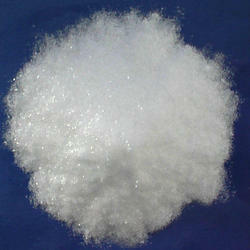 Sodium Thiosulfate is commonly called as HYPO, it is a white translucent crystals. It is readily soluble in water and oil of turpentine. It is a moderate reducing agent. It is a source of thiosulfate ion (S2O3-2) (dissolves silver salts). · Used in paper, textile, water treatment industry and gas purification. 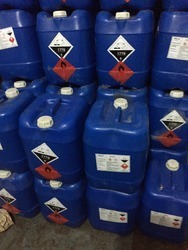 We are the number one company known for offering Ammonium Chloride to the clients. This product is a white crystalline powder which is easily soluble in water. 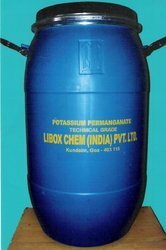 This product is prominently used as a source of nitrogen in fertilizers, and has wide utility in medicine, metalwork, food, flotation, laboratory, and more. Offered range is hugely appreciated for accurate composition, long shelf life, purity and precise pH value. 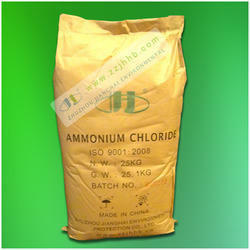 Ammonium Chloride is offered with different specification, as per the needs of our clients. Potassium Permanganate is an inorganic chemical compound with the formula KMnO4. 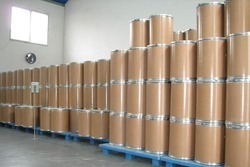 It is widely used as an Disinfectant and in Water Treatment plants. It also find its use in biomedical use, Organic Synthesis, Fruit Preservation, Leather Industry, etc. This product is can be dissolved in water to give deep purple solutions and its evaporation gives prismatic purplish-black glistening crystals. 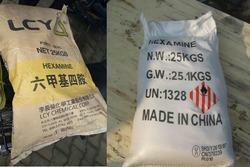 Sodium hydrosulphite is a white crystalline powder with a weak sulfurous odor. It is readily soluble in water and shows powerful reducing actions in aqueous solutions. It is also known as Sodium dithionite and Hydrose. It is used as a reducing agent in dying application. It is used in bleaching Mechanical paper pulp, cotton, wool, etc. It also finds its application in Water Treatment, Leather processing, food processing, gas purification. 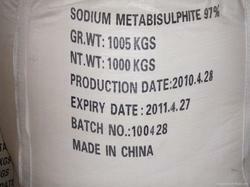 Sodium Metabisulphite is also known as Sodium pyrosulfite which is an inorganic compound. It is commonly used as disinfectant, antioxidant and preservative agent. Sodium nitrite is the inorganic compound with the chemical formula NaNO2. It is a white to slight yellowish crystalline powder that is very soluble in water and is hygroscopic. It is a useful precursor to a variety of organic compounds, such as pharmaceuticals, dyes, and pesticides, but it is probably best known as a food additive to prevent botulism. Borax which is also called as Sodium Borate, Sodium Tetraborate or Disodium tetraborate, it is an important boron compound, a mineral and a salt of boric acid. 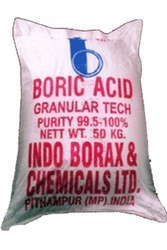 Borax is also easily converted to boric acid and other borates, which have many applications. Borax is used in various household laundry and cleaning products. It is also used as a Water Softening Agent. It is used in the Manufacture of Enamels, Shellacs, Heat-resistant Glass. It is used as an component in Detergents and Cosmetics. It is also used to make buffer solutions in Biochemistry, as a fire retardant. 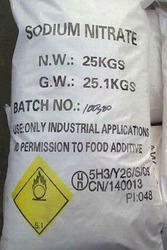 Boric acid, also called hydrogen borate, boracic acid, orthoboric acid and acidum boricum. 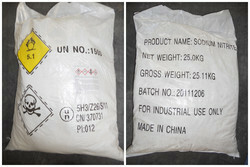 Boric acid may be prepared by reacting borax (sodium tetraborate decahydrate) with a mineral acid, such as hydrochloric acid. It exists in the form of colourless crystals or a white powder that dissolves in water. It used as an antiseptic for minor burns or cuts and is sometimes used in dressings or salves. It is used in the manufacture of monofilament fiberglass usually referred to as textile fiberglass. It is used in the electroplating Industry for Chrome and Nickel Plating. Hexamine is also called as Hexamethylenetramine which is a crystalline compound which is highly soluble in water and polar organic solvents. Hexamethylenetetramine is prepared industrially by combining formaldehyde and ammonia. Hydrogen peroxide is a chemical compound with the formula H2O2. It is the simplest peroxide (a compound with an oxygen-oxygen single bond) and in its pure form is a colorless liquid, slightly more viscous than water. Hydrogen peroxide is a strong oxidizer and is used as a bleaching agent and disinfectant. Concentrated hydrogen peroxide or 'high-test peroxide' is a reactive oxygen species and has been used as a propellant in rocketry. 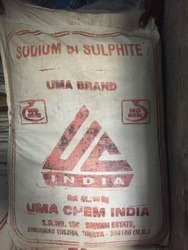 Sodium Lignosulphate offered comes in pure constitution finish and has appearance of yellow brown powder with minimum lignosulphonate constitution of 50%. Further, the product has maximum moisture content of 5.0%, ph value (1% soluble) of 9.5±0.5, maximum total reducing matter of 4.0%, maximum water insoluble matter of 3.0% and maximum calcium magnesium quantity of 0.5%. For quality assurance, the product is processed at modern labs and finds use in areas like food industry as de-foaming agent, for refractory materials, for absorbing and dispersing cement, as dispersing dyes fillers, as water-reducing enhancer and others. We have developed one more product called as "CITRO-W" which is the substitute Citric Acid, it find its application in all the Industries except food. To add further one can use the exact quantity of Citro W compared to Citric Acid for the same and exact results. 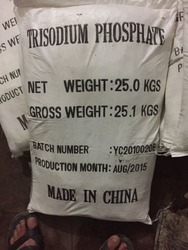 Trisodium Phosphate (TSP) is a white, granular or crystalline solid, highly soluble in water producing an alkaline solution. TSPs are used as cleaning agent, lubricant, food additive, stain remover and degreaser. 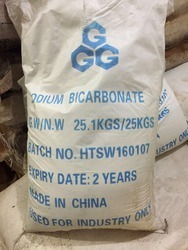 The Sodium Bicarbonate offered by us is a white crystalline solid that appears as a fine powder. It is a component of the mineral natron and is found dissolved in many mineral springs. It is primarily used in cooking (baking) where it reacts with other components to release carbon dioxide, that helps dough rise. Used in a process for cleaning paint called soda-blasting, It also serves as one of the major raw material in the leather and food Industry. 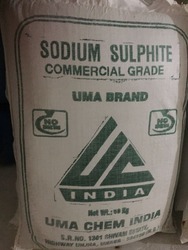 Sodium Sulphate is sodium salt of sulphuric Acid. It is famously called as Glauber salt. 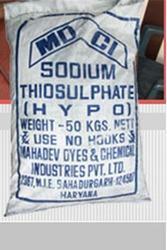 Sodium sulphate is mainly used for the manufacture of detergents and in the Kraft process of paper pulping. Citric Acid is mainly used as acidulant, flavoring agent, preservative and anti staling agent in food and beverage industry. It is also used as antioxidant, plasticizers and detergent in chemical, cosmetics and cleaning industries. The concentrations of citric acid in citrus fruits vary depending on the conditions in which the fruit was grown. The acids offered by us are considered as weak organic acid. We process these acids using supreme quality ingredients that are sourced from the authentic vendors of the market. We are engaged in supplying Isoborneol Powder with a minimum purity of 99%. The Isoborneol Powder acts as a major raw material in manufacturing of Isoborneol Flakes. Both of these items finds it application in various industries. 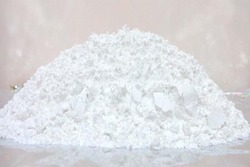 We are engaged in offering our client with the best quality of Titanium dioxide, also known as titanium (IV) oxide or Titania, is the naturally occurring oxide of titanium, when used as a pigment, it is called titanium white, Pigment White 6 (PW6), or CI 77891. Generally it is sourced from ilmenite, rutile and anatase. 1. Menthol is an organic compound made synthetically or obtained from corn mint, peppermint pr other mint oils. It is a waxy, crystalline substance, clear or white in colour, which is solid at room temperature and melts slightly above. It has a refreshing fragrance and has a cooling property. Used in Oral hygiene products such as mouth wash, toothpaste, tongue spray, chewing gum and candy. 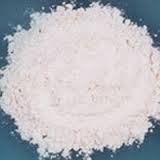 We are offering wide range of Formaldehyde Powder. Formaldehyde Powder is an organic compound with the formula CH2O or HCHO. It is the simplest aldehyde, hence its systematic name methanal. Formaldehyde is more complicated than many simple carbon compounds because it adopts different forms. One important derivative is the cyclic trimer metaformaldehyde or trioxane with the formula (CH2O)3.